Amanda Wellsh lands the September 2017 cover of TELVA Magazine. Lensed by Tomás de la Fuente, the brunette model wears a western inspired look including a bandana and embroidered denim. 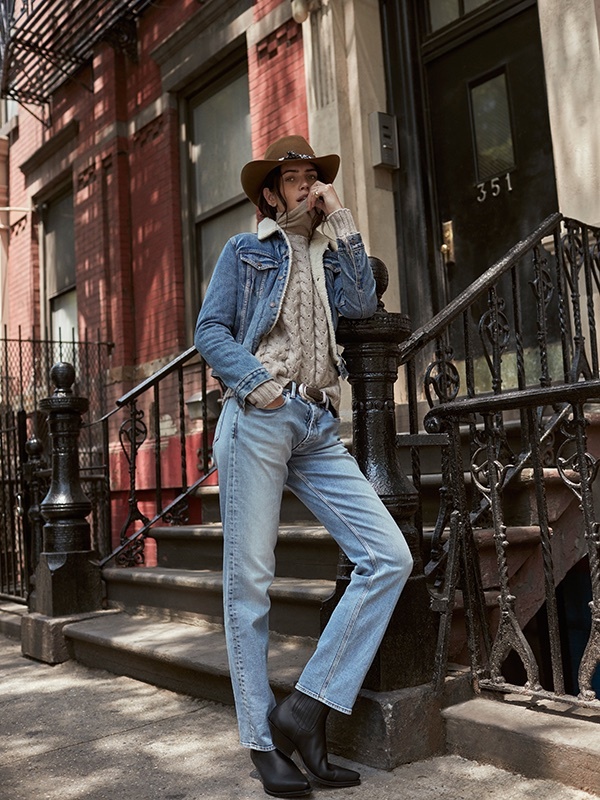 For the accompanying spread, Amanda embraces cowgirl styles while posing on the streets of New York City. Stylist Gabriela Bilbao dresses the Brazilian beauty in a mix of cable knit sweaters, shearling vests and studded jackets.